Bring the feeling of festivities to your own home. 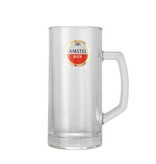 This tankard has a heavyweight base with classic handles. Holds 0.5L.